Check out our new Facebook Page and LIKE us to stay up-to-date with all of the happenings at ACT! Young artists at Ridgemoor Early Childhood Center work with clay. Our long-term Grand Rapids-based art and disabilities non-profit VSA will now be known as Artists Creating Together (ACT). The name change to Artists Creating Together is a recommitment of our organization’s staff, volunteers and board members to focus energy on the West Michigan community – where most of our constituents live. ACT, our nonprofit organization, brings children, youth and adults with disabilities together with artists, the arts and art projects. 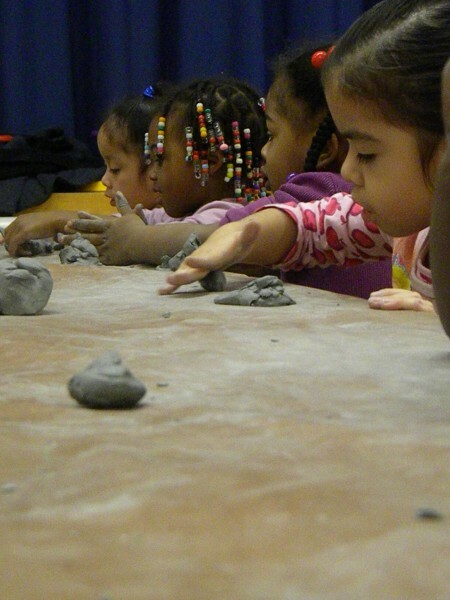 Formerly known as VSA/ Very Special Arts, ACT has been a part of the Kent County landscape since 1986. Today, we help over 6,000 individuals from West and Northwest Michigan celebrate, succeed and grow with art each year. Since our inception, ACT has benefited over 20,000 individuals with disabilities from throughout West Michigan.